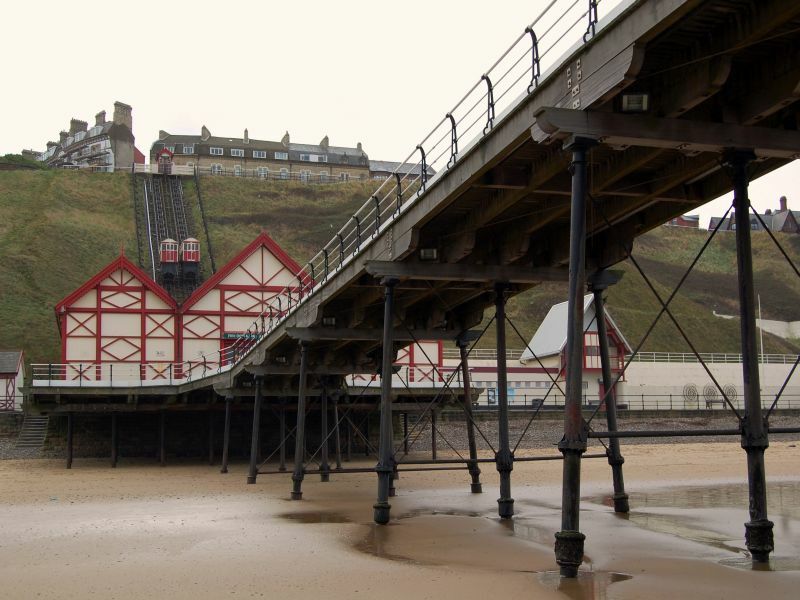 Karen Bowerman visited Saltburn-by-the-sea on Britain’s north east coast, to discover a resort where little has changed since Victorian times. I dug in with my tiny, two-pronged fork; the fish fell apart into moist, steaming flakes. The chips were crisp, crunchy and sprinkled with salt. Lunch was typical seaside fare, served in a polystyrene carton in out of season drizzle – but it tasted fantastic. The girl, her cheeks flushed with heat, said it was down to the dripping, which was “fresh” (if dripping can be fresh) every day. The oil spat and sizzled in front of her: a pool of glutinous mini geysers. My massive portion of cod and chips came from the hatch of The Fish Shop at Saltburn-by-the-Sea, ten miles east of Middlesbrough on the north Yorkshire coast. 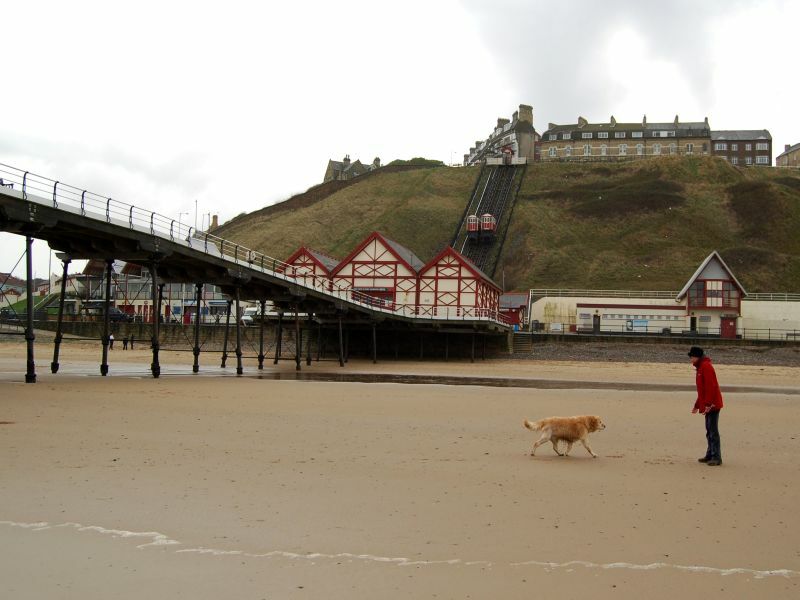 Once a popular Victorian resort with its pier, promenade and cliff lift, today it’s largely overlooked as holidaymakers make a beeline for Scarborough. 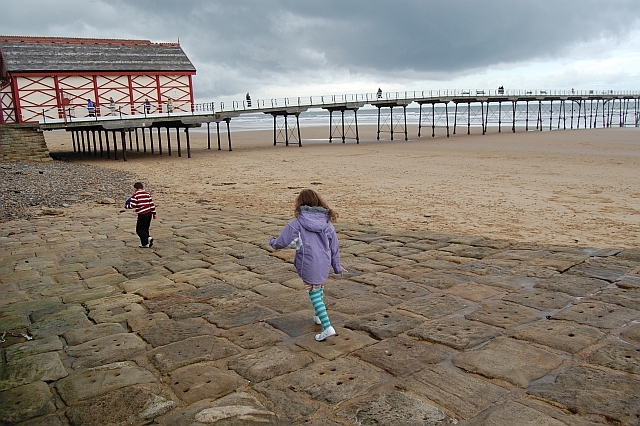 For there are no souvenir shops, amusement arcades or fairgrounds at Saltburn, just rolling surf and swathes of shingle-edged sand. Visit out of season and you need share the beach only with swooping gulls. 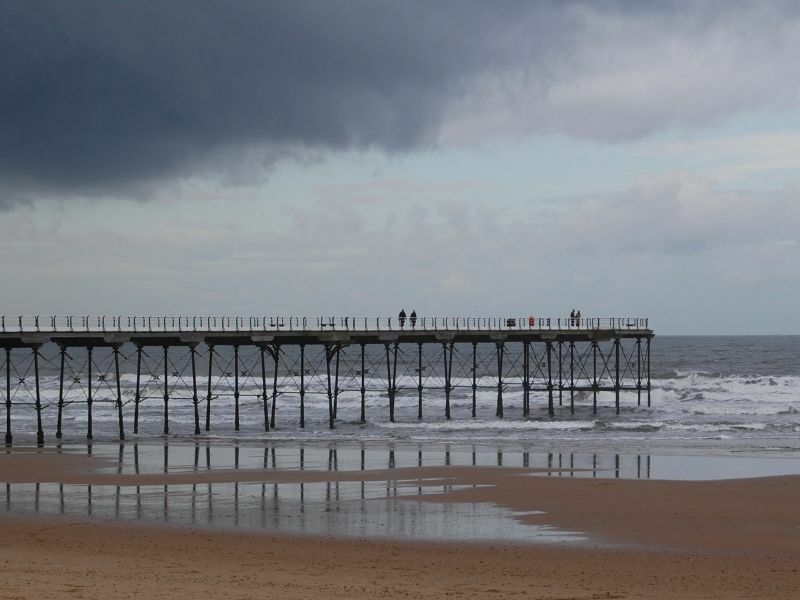 The afternoon I was there the tide was out, revealing a stretch of damp sand, crossed by an endless pier whose furthest, gangly stilts straddled the icy North Sea. A woman strode past with her dogs. A surfer peeled off her wetsuit. 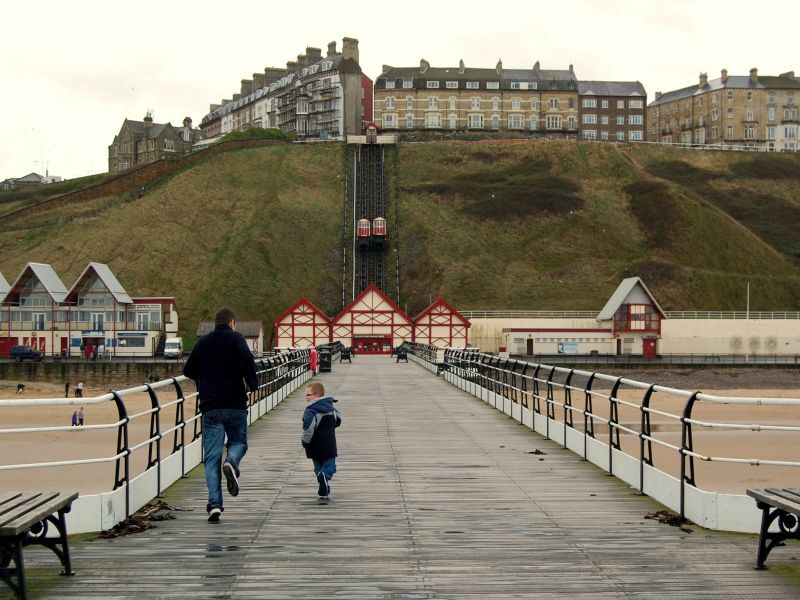 Two children in anoraks and wellies somersaulted over the railings along the promenade. I finished my fish and chips, grabbed a waterproof and headed into the wind. 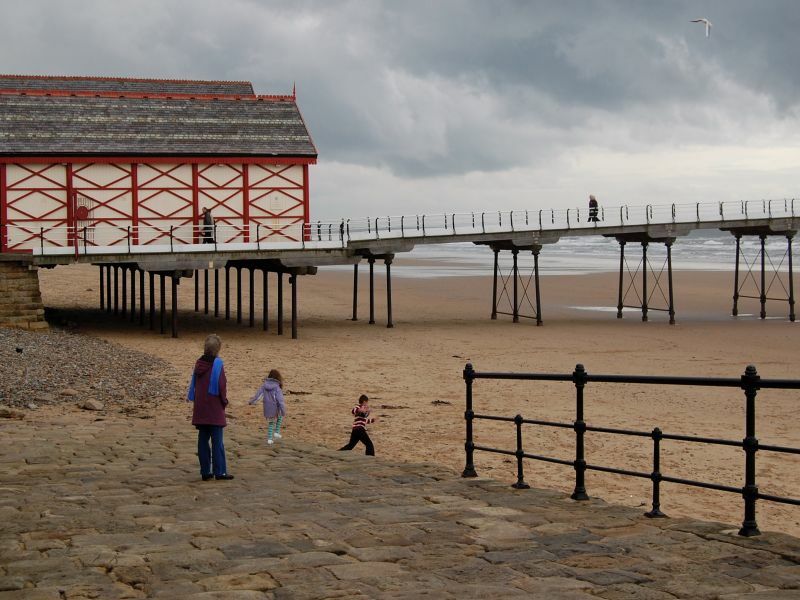 Saltburn’s pier, built in 1869, was the first on Cleveland’s coast. Within six months of opening it had attracted 50,000 visitors, turning the town into an upmarket Victorian resort. 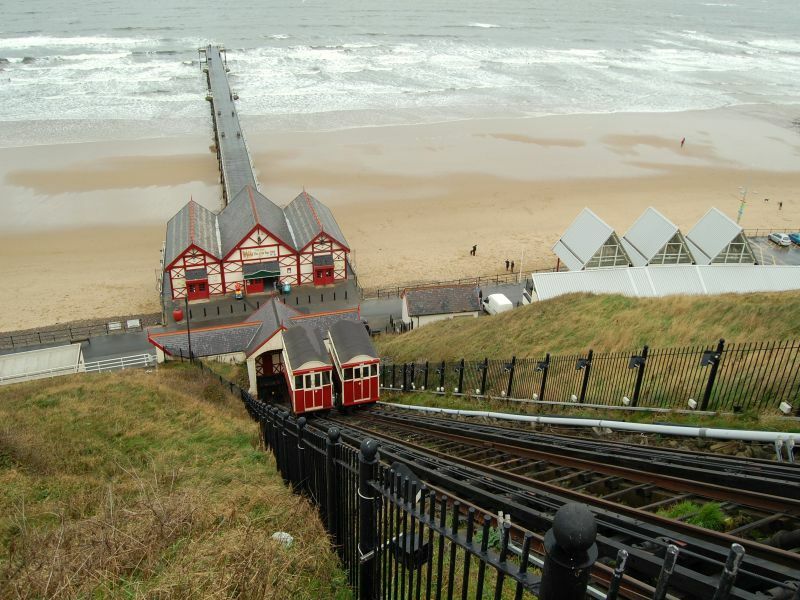 Steamers offering trips between Hartlepool and Scarborough began stopping en route, so visitors could enjoy the novelty of strolling over the waves. Today, the old ticket booths stand empty. Opposite, a couple of cream and ox blood trams (part of the town’s water-powered cliff lift) sit side by side, braving the cold as they await the new season. They’ve shunted up and down the rocks for more than 130 years, making the funicular one of the oldest in Britain. The original hamlet of Saltburn shelters beneath Huntcliff, a headland whose wooded coves were once the haunt of smugglers. 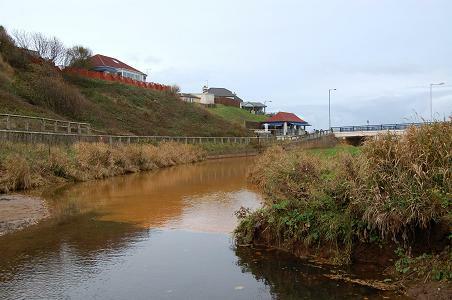 The cliff is a dull, foxy-brown colour, stained with iron ore, but at dusk it seems almost luminescent, streaked with claret and gold. At its base huddle three sandy-coloured fishermen’s cottages and the gabled Ship Inn. Fishing boats and a rickety tractor line its car park. A figurehead stands over the inn’s door. Her wooden skirt billows as if caught in the wind. She holds a hanky, clasps her chest and looks, rather mournfully, out to sea. I follow her gaze but spot only a red-hulled cargo ship gliding across the horizon. Back at the fish and chip shop the girl is packing up for the day. She takes off her apron and unlocks the hatch; shutters rattle to a close. I head for a couple of cafes that overlook the sea. A sign in one of them says it’s “Happy to Welcome Visitors”. A cheery waiter leads me to a seat by the window, not that there’s anyone else there. 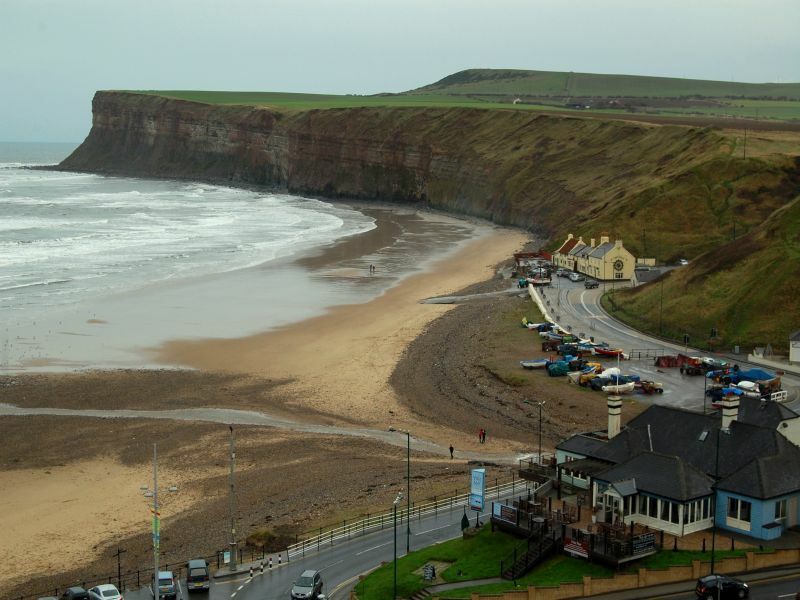 Through the steam of my coffee and the salt-stained glass, I take in the cliffs, the cottages and the promenade – a view that’s barely changed since Victorian times. On the beach, the sand, smoothed by the sea, glistens with damp from the tide. Storm clouds gather overhead, but I’m almost convinced the pier with its endless iron legs will outrun the furthest rain cloud. Cleveland Ironstone Mining Museum, Deepdale, Skinningrove, Saltburn, TS13 4AP, tel: 01287 642877; Open: Apr-Oct, Mon-Sat, 10.30am-3.30pm. Visit by guided tour.